Nelson George was born on October 15, 1808 in Sundeland, Durham, England to George Robinson and Mary Clark. In March, 1830, he married Caroline Christopher, daughter of George and Grand-daughter of Captain William Christopher. They were wed at Saint-George-the-Martyr's Church, Bloomsbury, England. By 1834, Nelson George and family were living on Grove Street, Fisherrow, Musselburgh, Scotland. Nelson George manufactured herring nets. They lived there until at least 1843. The net manufacturing business would lead him to further business adventures in Canada. 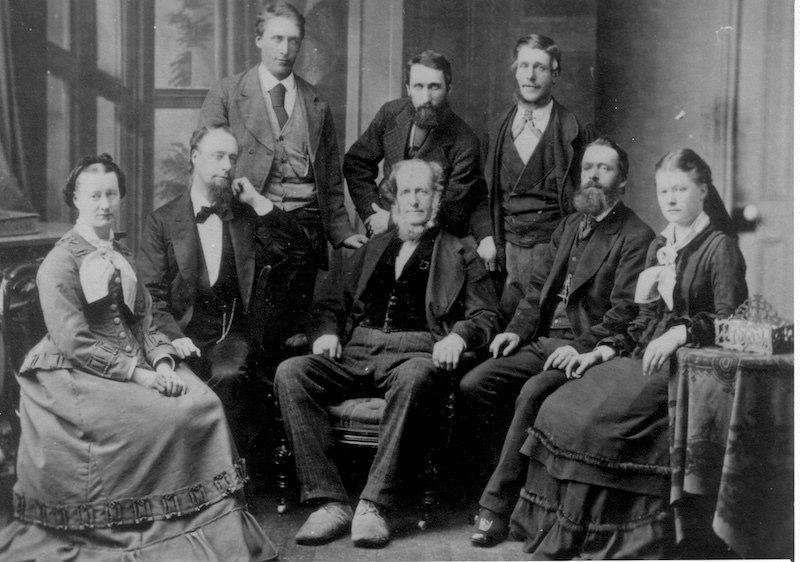 Nelson George and family emigrated to Canada around 1843. 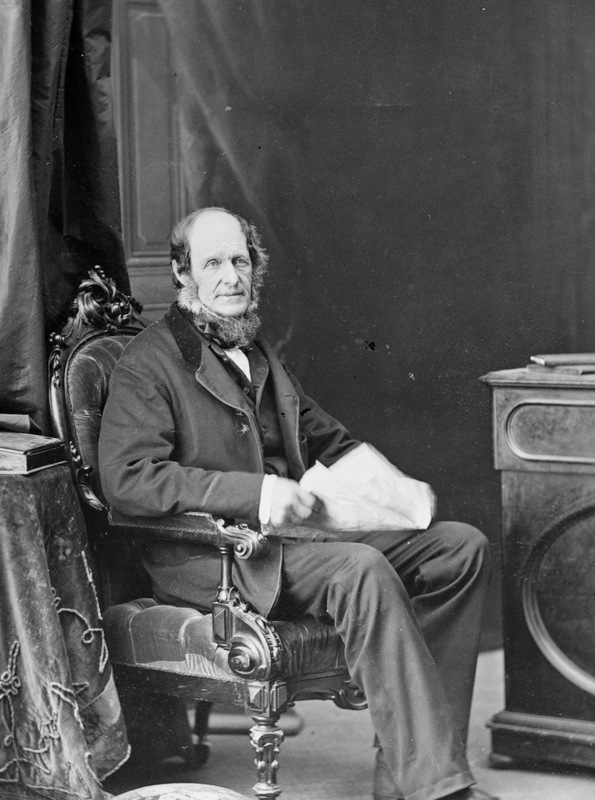 In 1846, he purchased a fabric mill and sawmill from Captain John LeBreton (LeBreton Flats). This included 150 acres of land. 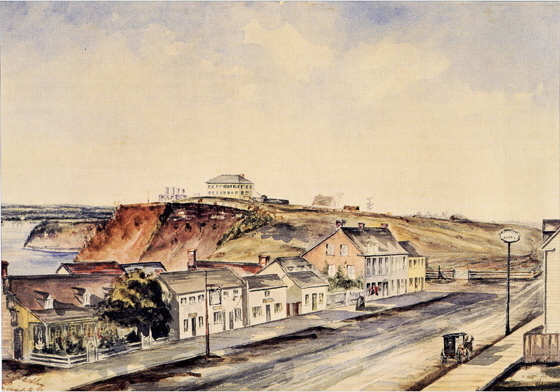 As reported in the "Ottawa Advocate & Packet" - "A public meeting was held at Doran's (Dorion's) Hotel on Tuesday, December 1st, 1845, and on the motion of Augustus Keefer - seconded by William Stewart that Nelson G. Robinson be called to the chair - to consider the following motion: That application be made at the next session of the Provincial Legislature to incorporate a Company to be called "The Bytown and Britannia Railroad Company", with the usual powers and privileges." The building of the first railway created a great deal of interest in Bytown and the Bytown Packet of 11 October 1851 carries this account of the ceremony to turn to first sod. His Worship the mayor and Members of the Town Corporation. Directors and Officers of the Railroad Company. The Hon. Mr. Justice Burns and the President of the Railroad Company. The Sheriff of the County and other Officials. Cadets of Temperance, in Regalia. Sons of Temperance, in Regalia. The President of the Company delivered an address, and then taking the spade proceeded to break ground, and tossed the first sod in first-rate style, amid the shouts and cheers of assembled thousands. Justice Burns addressed the audience, congratulating them upon the prospect presented of so great and desirable an undertaking being carried forward. Judge Armstrong being called upon, congratulated all present on the occasion of breaking ground, in commencing a work of so great importance; and in a short but very happy and humorous speech, referred to some of the advantages that would result from it. G.B. Lyon, Esq. M.P., next spoke, complimenting the taxpayers, who had assented to their Municipality subscribing largely on behalf of the enterprise. They were all shareholders indirectly, and were interested in its success. Speaking in the open air, or on the subject of Railroads was not his field, and Railroads were not his politics. He wished the undertaking success. The President returned thanks to the Sons of Temperance, complimenting them in the highest terms; which was replied to on the part of the Sons and cadets by Mr. Hewitt. The Sons presented a highly creditable appearance both as regards numbers and respectability - and we were particularly pleased with the interesting and fine display made by the cadets. Mr. Bell, Mr. Robinson and Mr. Friel being called upon, addressed the audience, and the proceedings closed. Precisely at 7 o'clock a large party of gentlemen of the town sat down to dinner given by the President and Directors at Doran's. To say that the dinner was at Doran's is a sufficient description of the manner in which it was got up, and of the excellent quality of the viands - to state that it was got up in Doran's best style is to say all we can in praise of the eatables and wines. The President of the Company, Mr. MacKinnon, presided - supported on the right by Mr. Justice Burns, and on the left by Captain Ford, Royal Engineers. The Mayor of the town acted as Vice. On the removal of the cloth, after ample justice had been done to all the good things, toasts were given from the chair. A number of jovial songs were sung in the course of the evening by different members of the company, and that heartiness and good humour which the best of champagne and wines of every description, together with the auspicious events which the Company met to celebrate, were calculated to inspire, prevailed throughout." 1851 Census - "Nelson G. Robinson and his wife Grace (Bell Scott) lived in a frame house. Occupation - carding mill and factory, three employees with 250 pounds invested, and attending sawmill, both water-powered, two employees with 200 pounds invested. 1500 yards manufactured of his own cloth, 1400 yards of flannel." 1860 to 1861 - Deputy Reeve of Nepean. - At a special meeting of the Nepean Council on August 14, 1860, Nelson was authorized to make necessary preparations to meet the Prince of Wales (later King Edward VII) when in Ottawa. The Prince of Wales laid the cornerstone of the first Parliament Buildings in Canada. 1861 - Chairman and secretary of the Union Church. 1862 to 1863 - Reeve of Nepean. 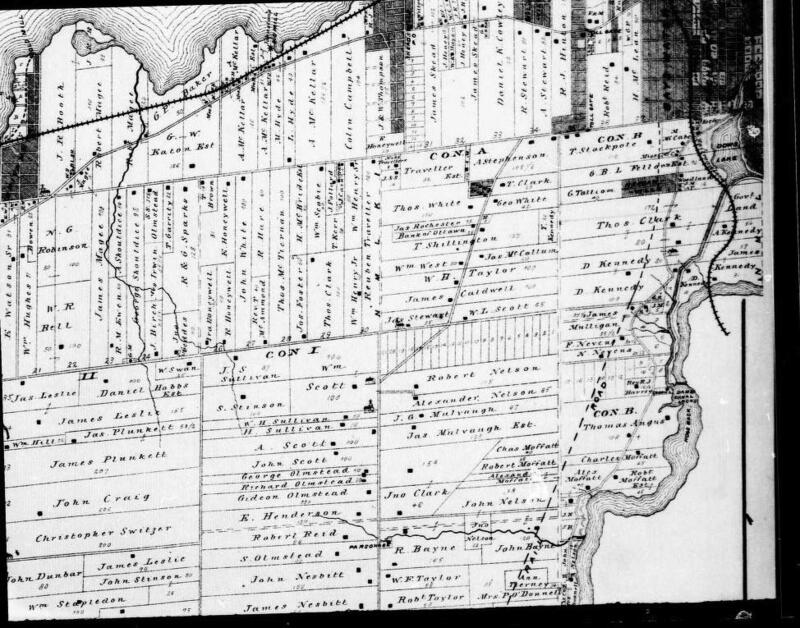 In 1873, Nelson George sold his land. In March 1875, at the time of his wife Grace's death, Nelson George lived on Richmond Road. 1881 Census of Canada has the widowed Nelson George living with three of his children (Albert, Sarah and Grace). The masquerade ball given by the Manistee Turnverein at German Hall last Friday evening was one of the most notable social events of the season. Over 225 couple were present, and a right merry time was had by all. The Turnverein boys never do things by halves. Mr. N. G. ROBINSON, Sr., father of N.G. ROBINSON, of this city, arrived in Manistee Thursday evening (January 18, 1883) from Ottawo city, Ont., and will hereafter reside here. He is accompanied by his two daughters, Misses Sara and Emma, estimable young ladies who will be a valuable acquisition to the society of the young people of Manistee. Will dated 28 Sep 1889. Executors are son George Robinson of Quebec and Margaret Robinson Harmer. Witnesses are: Albert Walkley & Thos. Oglethorpe. Died 31 Aug 1893 at Manistee. 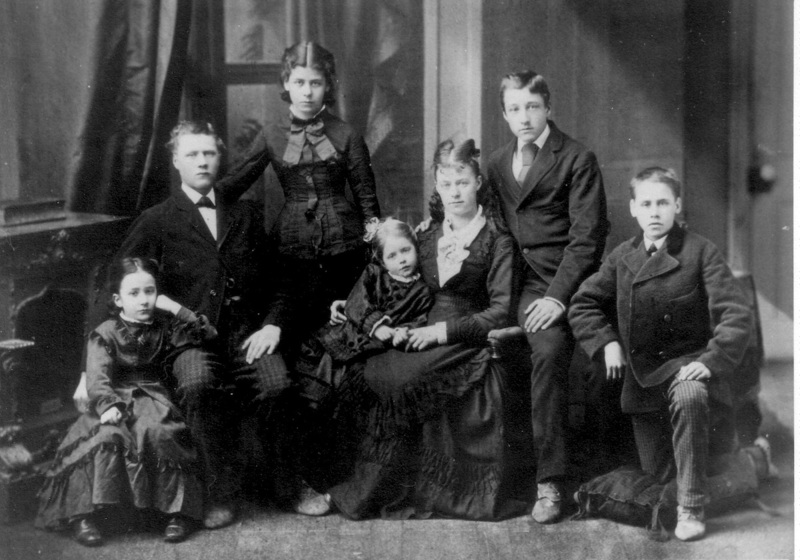 Family includes: Mary E. Locke of Woodbridge, Ontario; George Robinson of Quebec; Christopher C. Robinson of Hartlepool?, England; Henry C. Robinson of Glenlevit, Prov. Quebec; Frances I. Robinson of Chiss_ Mall, England; William T. of Desselronto, Ontario; Edward Robinson of LaCeller?, Quebec; Margaret harmer of Onekama; Charles Robinson of Brittannia, Ontario; Sarah A. Robinson of Manistee and Grace E. Robinson of Manistee.